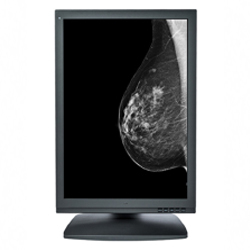 The Optik View DM21510 5MP Diagnostic Monochrome Display is ideally suited for the review of Mammography images. This display offers exquisite resolution to enhanced visualization of fine details. 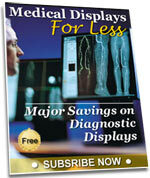 Allowing radiologists and oncologists to accurately diagnose tissue abnormalities. Commonly used for review of Mammography images, this five megapixel monochrome diagnostic display is FDA certified and meets specifications for maximum and minimum luminance and grayscale standards defined by IEC62563-1 and DIN686-157 to improve diagnostic confidence through artifact free visualization and enhancement of subtle findings.